Accelerators, reactors, radiation detectors and computers are the main tools nuclear physicists use to study their interactions and radioactivity. Theoretical methods play a central role in answering the key questions of nuclear physics. 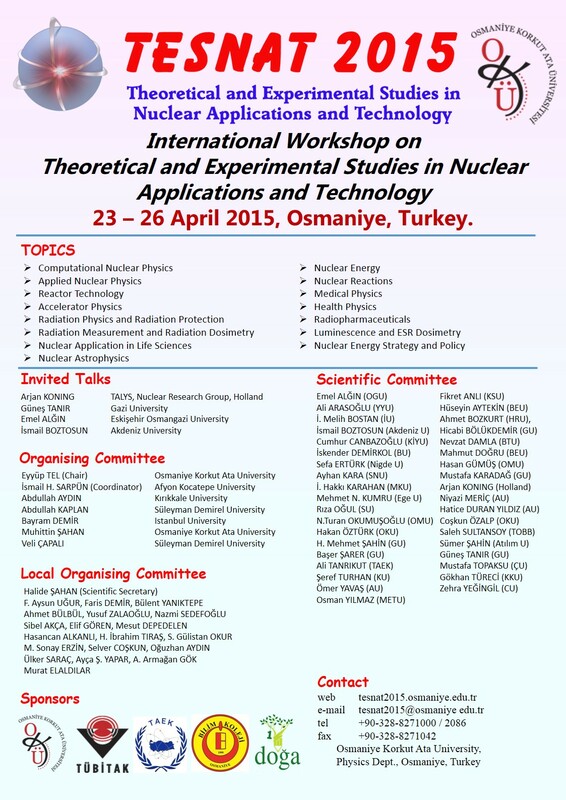 We intend in this workshop to discuss and compare such methods as are being applied at present in nuclear physics. The problems faced in these fields at present are focused in the development of new methods and in the improving of existing techniques to achieve an understanding of existing experimental data and in predicting with high reliability new properties and processes. All this requires computation techniques and methods which at present seems to be dispersed in the various fields that we intend to discuss in this workshop. We propose this workshop as a mean to bring together all these related communities with the goal of creating an enriching dialog across the disciplines. The program will be composed of a three-days conference. The workshop will give an overview on the computational and theoretical challenges in nuclear physics and applications. The conference proceeding will be published in EPJ Web of Conferences. Prof. Dr. Arjan KONING 's Topic of Conversation: "From nuclear physics to nuclear applications with TALYS"